It is 8:45 am, you’re late for work, and you can’t seem to find your car keys! You scurry around the house in search for your lost item; overturning pillows, ripping out desk drawers—even peering into a dust-laden, empty cookie jar that you haven’t used for years (hey, you had to try your luck). Fifteen minutes later, exhausted and still without a means of transportation, you open the fridge door hoping to at least quench your thirst with a nice, cold glass of orange juice. As you grasp for the carton, the tiny glint of a small silver object catches your eye. Frustrated and a bit irked, you realize that the silver gleam is, in fact, your long lost car keys. If the scenario above sounds all too familiar and appears to increase in frequency with age, the good news is that you are not alone. 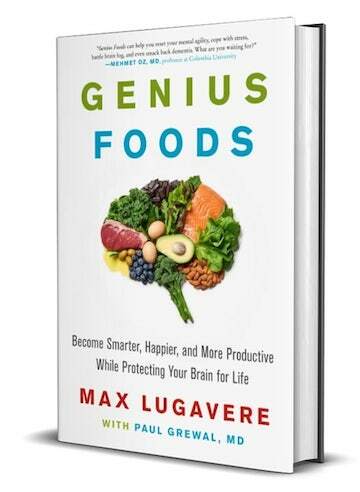 While there have been no reported medical advances that can magically reverse the aging process, several research studies in the evolving area of “brain foods” have documented nutrient-rich items that may help boost your cerebral stamina. Although certain foods like blueberries, salmon, and almonds are well-known forerunners in this area of brain science, several other less known food items have been found to produce similar brain-augmenting benefits. Below are five (unconventional) brain foods that you can consume to help power your mental capabilities. The next time you visit your local coffee shop, opt for a cup of this nutrient- rich beverage rather than your usual java regular. A recent study examining the neural effects of green tea extract on brain activation patterns found that subjects who were administered 250-500mL of a milk whey-based green tea containing soft drink while performing a working memory task had increased activation in their dorsolateral prefrontal cortex (DLPFC) compared to controls1. Because the DLPFC is a key area known to mediate working memory, the study suggests that green tea extract may enhance brain engagement during cognitive processes; thus having preventative implications in neurological disorders such as Alzheimer’s disease. Contrary to popular belief, avocados are not the anti-fruit to avoid for the mere sake of a slimmer figure. Although their delicious creamy texture is a result of their relatively higher fat content, these fats are actually composed of healthy monounstaturated fatty acids which are known to decrease the risk of hypertension2. Previously, hypertension has been linked to cognitive decline among the late to middle- aged population3. Furthermore, high monounsaturated fatty acid intake—such as in the Mediterranean diet—has been found to protect against age-related cognitive decline4. Thirsty? Try relieving a dry throat with soy milk. A recently published study reported soybean peptides to be associated with an increase in plasma dopamine levels5. Dopamine has several important implications in behavior, cognition, and reward-driven learning. The same study also found soybeans to have an immunomodulatory effect that can improve stress hormone unbalance, brain circulation, and energy metabolism when coupled with neurological responses. Here,the brain and the immune system are thought to “converse with each other” to maintain homeostasis, although the exact mechanism has yet to be elucidated. Although this food item typically appears on special occasions such as Christmas or Thanksgiving, this need not be the case. Sweet potatoes are abundant in carotenoids which give it its rich orange color6. Because carotenoids function as both anti-oxidants and anti-inflammatory agents, intake of dietary components rich in carotenoids may help improve cognitive functioning in the elderly. Indeed, previous research studies have shown that low plasma concentration in carotenoids is associated with cognitive decline7 or mild cognitive impairment8. This leads to speculations that high plasma levels of carotenoids may produce the desired opposite effect. Yes, it’s true! 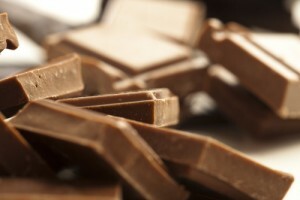 Dark chocolate may have beneficial effects to the brain. A recent double-blind study examined the effect of cocoa flavanols consumption in 90 elderly individuals with mild cognitive impairment9. The dietary intervention randomized participants into three groups, each to consume once daily for 8 weeks a drink containing ≈990 mg (high flavanols), ≈520 mg (intermediate flavanols), or ≈45 mg (low flavanols) of cocoa flavanols per day. The study concluded that the regular consumption of cocoa flavanols might be effective in improving cognitive function in elderly subjects with mild cognitive impairment, including areas of verbal fluency, executive function, and cognitive flexibility. Although all foods should be consumed in moderation, these studies give you a slight reason to eliminate some guilt when indulging in “fatty” avocados, “starchy” sweet potatoes, or “sugary” dark chocolates. After all, not only will they satisfy your hungry stomach, but they may also provide you with that mental punch to improve cognitive performance. So let’s crack open that chocolate bar and celebrate its potential to power your brain! 1. Borgwardt S, Hammann F, Scheffler K, Kreuter M, Drewe J, Beglinger C. Neural effects of green tea extract on dorsolateral prefrontal cortex. Eur J Clin Nutr. Aug 29 2012. 2. Appel LJ, Sacks FM, Carey VJ, et al. Effects of protein, monounsaturated fat, and carbohydrate intake on blood pressure and serum lipids: results of the OmniHeart randomized trial. Jama. Nov 16 2005;294(19):2455-2464. 3. Knopman D, Boland LL, Mosley T, et al. Cardiovascular risk factors and cognitive decline in middle-aged adults. Neurology. Jan 9 2001;56(1):42-48. 4. Solfrizzi V, Panza F, Torres F, et al. High monounsaturated fatty acids intake protects against age- related cognitive decline. Neurology. May 12 1999;52(8):1563-1569. 5. Yimit D, Hoxur P, Amat N, Uchikawa K, Yamaguchi N. Effects of soybean peptide on immune function, brain function, and neurochemistry in healthy volunteers. Nutrition. Feb 2012;28(2):154-159. 6. Bovell-Benjamin AC. Sweet potato: a review of its past, present, and future role in human nutrition. Adv Food Nutr Res. 2007;52:1-59. 7. Akbaraly NT, Faure H, Gourlet V, Favier A, Berr C. Plasma carotenoid levels and cognitive performance in an elderly population: results of the EVA Study. J Gerontol A Biol Sci Med Sci. Mar 2007;62(3):308-316. 8. Rinaldi P, Polidori MC, Metastasio A, et al. Plasma antioxidants are similarly depleted in mild cognitive impairment and in Alzheimer’s disease. Neurobiol Aging. Nov 2003;24(7):915-919. 9. Desideri G, Kwik-Uribe C, Grassi D, et al. Benefits in Cognitive Function, Blood Pressure, and Insulin Resistance Through Cocoa Flavanol Consumption in Elderly Subjects With Mild Cognitive Impairment: The Cocoa, Cognition, and Aging (CoCoA) Study. Hypertension. Sep 2012;60(3):794- 801. I eat all these except the soya, and avocados are so expensive they are an occasional luxury. But my mind is still going rapidly down hill !! Soy is O.K. in moderation and if it is ORGANIC. The problems are that most soy beans out there are GMO’s and most soy products are over processed. I am surprised you didn’t list fish as well. Fish, particularly oily fish that is high in omega-3s is the best . Oily fish include salmon, sardines, tuna. But try to eat oily fish that is least likely to contain mercury. Therefore choose wild salmon, sardines, tilapia rather than shark, swordfish or king mackerel for example. Other foods good for the brain include walnuts and olive oil. I started drinking Soya milk a few years ago, I was addicted to it, my skin was lovely, looked like a babies, but I started to get a bloated Stomach, & pains in Stomach, I googled Soya Milk & was amazed to see that it can cause Breast Cancer & several other bad things.I stopped drinking it straightaway. I agree with Kelly and Naomi. Is it a coincidence that the year I was consuming soy several times a day is the year I became hypothyroid? If I had known then what I know now about the delitirious effects of soy on thyroid function I would have never touched the stuff. And now I find if there is even a small amount of soy in a product that I will end up with painful embarrassing gas. I avoid it like the plague and encourage all to do so as we’ll. Although some people are sensitive to soy, some allergic to milk, correlation isn’t causation, and I’d like to see some data on the destructive effect of soy on thyroid function. People have depended on both milk and soy for hundreds if not thousands of years, but that doesn’t mean that either food is completely beneficial or harmless, either. I agree with Kelly Rooney above – you lost me with soy! I would add a caveat – fermented soy is great and it would be interesting to hear if it has the same effect? Unfermented soy depletes the body of minerals through it’s high phytic acid content, disrupts hormone levels with it’s huge amount of phyto-oestrogens and interacts negatively with thyroid function. I’ll take the dark chocolate, avocados, green tea and sweet potatoes instead thanks! You lost me with soy. There are so many problems with soy that the risk far outweighs any benefit of better brain function. Firstly are you talking about non GM soy or any variety because the GM stuff is deadly in my opinion and the opinion of many scientific studies. See Genetic Roulette – a really informative documentary on the negative effects of GM based on numerous studies. Secondly, soy has a negative hormonal effect to many people leading to lowering fertility. I think that it might be good to suggest that it can help brain function but should also be advised that there is a negative side to it also. Don’t be silly. I’ve been vegan or vegetarian for a few years. Much of my diet is soy. I drink a lot of soy milk. My partner and I both consume a lot of soy. I’ve managed to have a perfectly healthy pregnancy and give birth to a perfectly healthy baby. Dairy is far worse for you since it’s designed for cows. Also, soy is popular in Asia – I don’t think they have too much of a fertility problem. Do things in moderation. If you’re not intollerent or allergic to soy, then it’s safe to eat. GM is very detrimental to the farmers growing it, but most GM soy is used as cattle feed anyway. And then it doesn’t need to be labeled on milk or meat. Don’t be Silly, Nick, everybody is different and I too have a problem with soy. Dairy is designed for mammals and has been a much better source of milk for my family than soy. Almond milk is also a viable choice and my physical system does not react negatively to Almond milk like it does to soy. Again everyone is different and therefore just because you, Nick, and your partner and others you know don’t have a known problem with soy does not mean that thousands of people in North America can consume soy with impunity.